Triple Glazing – The Latest Window Industry Fad? Does it really save that much on heating? Is it really that much better than double glazing? These are questions that we regularly hear. There’s been more depressing talk of utility providers hiking their charges this winter. So in an age where homeowners are trying to stretch their pennies further, the notion of household savings is of much interest. When we explain to our customers that over 20% of heat loss in the home can come from old or outdated windows and doors they are generally not surprised. No home owner wants to feel as though they are simply throwing money out the window … excuse the pun. Within the past year or so there has been a lot more consumer interest in triple glazing. 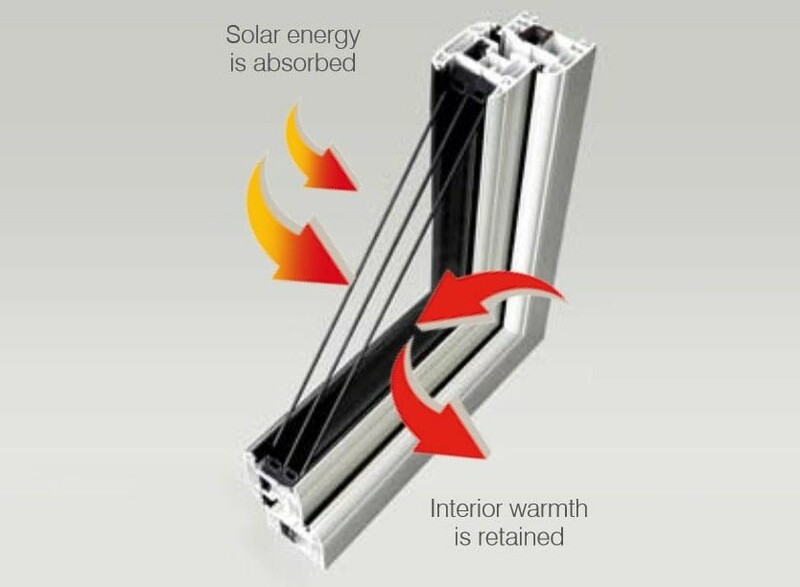 It’s nothing new in colder countries (who appear to have been fitting this glass as standard for years) that thermally efficient windows and doors could be reducing home heating bills by up to 40%. But for some reason, here in the UK, we are only just gaining more awareness of the product. Not only can triple glazing make a difference to the energy efficiency of a window but it also improves sound insulation levels, which, if you live in cities, town centres, along busy roads or if you live near one of our American air bases, it will be of major importance to you! Then there is the security aspect of triple glazing. It is obvious that 3 Panes of glass are far harder to break through than a double glazed unit with only 2! So for peace of mind Triple Glazing certainly comes up trumps. Window frames themselves have insulation, they can be multi chambered UPVC or thermally insulated aluminium or timber. So the frames also have a big part in achieving the energy efficiency of a window and reducing waste energy emissions. There’s no denying that window technology has come along in leaps and bounds since we first started out in the industry (over 22 years ago) and with such advancements most home owners are aware that a far superior product has superseded their 20 year old UPVC windows. Don’t get me wrong, we have carried out maintenance work on old windows and doors: Replacing locks, hinges and broken down sealed units and many old UPVC products have done well to last the test of time. But they are not providing their owners with the benefits an up-to-date UPVC product will. A common comment we hear post triple glazing installation is “I can’t believe what a difference the windows have made to our home” and “We wish we’d changed our windows earlier”.